It was clear that DJI was winning the drone commoditization war by the end of 2015. Today’s best sellers are mostly DJI products. Other makers (Parrot, 3D Robotics, Autel, Yuneec et al) haven’t been able to capture any significant portion of the camera drone market. Most saw the writing on the wall and began switching to becoming drone service providers in other marketplaces. Shenzhen-based DJI has thousands of employees and access to capital, talent and components. They are nearby to all their component suppliers. They have a domestic as well as international market. They move fast and have continued to improve and professionalize their products. They help their clients private label their drones. 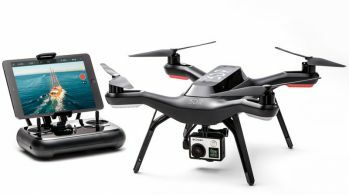 Their two biggest competitors, Yuneec and Parrot, have amassed less than 5% of the market – combined. DJI’s latest product is the Mavic Pro, a novel compact and foldable drone that has every feature of earlier DJI drones with the addition of more advanced collision-avoiding computer vision. 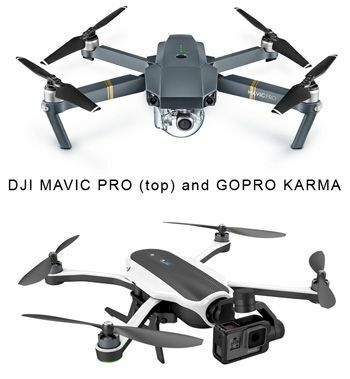 It is forecast that the Mavic Pro will be the hit of the 2016/2017 Holiday Season. According to Drone Flyers, a news portal focusing on the drone industry, it’s likely that 80% plus of the $300-$1,500 drone market will go DJI during the 2016 Christmas season. The GoPro Karma, long anticipated by GoPro fans worldwide, was introduced in September with shipments promised in time for the Christmas season. It’s now been pushed back to Spring 2017. Today’s drone makers are fiercely competitive and all are re-jiggering their business plans. With two new deep-pocketed competitors (GoPro and Xioami) entering the market – and all competing in the consumer camera drone marketplace – it’s hard to see how a non-Chinese provider can succeed in that particular mass market. Niche markets, yes; camera drones, no. In this fast-changing market, the time lag between design, manufacturing, selling and feedback is one major reason. But another is the Shenzhen climate for electronics manufacturing there’s nowhere else like it; nowhere else that can move as quickly; has so much manufacturing talent; and no place where costs are the lowest because all the major component manufacturers are there. 3D Robotics was a bit behind in coming to that conclusion. They had visions of becoming the great American hope with their Solo product but, with a combo punch of being late and buggy during a period when DJI launched two much better and cheaper products, Solo never took off and 3DR was stuck with a significant inventory of unsold product – another hazard of buying product from China. Early this year 3DR initiated a serious retrenching with a series of layoffs and office closures and is refocusing on becoming a professional drone service provider for the agriculture, surveying, construction, security, infrastructure and other verticals. Their staff has gone from 350 to less than 80. There is no way to determine what today’s head count is. Last year, 3DR’s cofounder Jordi Munoz also left the company. He’s now running a robotics startup in Chula Vista, CA, Mayan Robotics. Co-founder and CEO Chris Anderson said the company would be shifting its focus towards the corporate market and attempted to raise $45 million (but were only able to get $27 million earlier this year).